This outfit features one of my favourite new purchases, the fur gilet. I picked it up on my Topshop uniform and it's hardly been off my back since. I've been wearing it over a thin jumper like I have in this outfit or over my leather jacket to give an extra layer. It's been perfect for keeping me warm as how cold has it gotten recently?! It's like baltic! The rest of the outfit is pretty standard stuff, minimal and block colours, a look which I'm loving a lot recently. 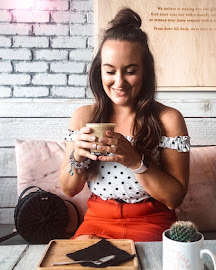 I'm really slacking on the outfit post front at the moment but as I work 2 jobs and the weather has been so crappy recently it's been pretty hard, fingers crossed I can get some more up soon!